The widespread adoption of videoconferencing solutions is gaining traction across many industries. According to Transparency Market Research, the videoconferencing market will exceed a net worth of $5 billion in the next four years. Key growth factors include an increase in market size and the rising cost of traditional communication mediums, and two industries driving this growth are healthcare and education. Why healthcare and education? Well, not that long ago, videoconferencing infrastructure and maintenance was expensive. Generally speaking, only large corporations could support videoconferencing solutions, and even then, the internet wasn’t fast enough to support global communications. Today, the public sectors are becoming more and more comfortable with the cloud, and accessible high speed internet and a large market of application vendors have opened the door for innovative video use in these two sectors. Add in the fact that mobile is dominating all of our lives these days, with the majority of Americans, young and old, owning a mobile device, and that these smartphones, tablets, and laptops come equipped with cameras and microphones, and it’s easy to see how videoconferencing and collaboration have become mainstream. In the healthcare industry, videoconferencing represents a new way to interact with patients. Telemedicine existed for the last few decades, but it primarily served remote markets with inadequate local healthcare services. Today, many healthcare providers, insurers, and patients are looking for ways to lower costs while improving efficiency. Telemedicine applications allow physicians to interact with patients online—those experiencing routine symptoms can often easily get their condition diagnosed, and obtain a prescription without stepping foot inside a clinic. Patients with long-term health ailments such as diabetes or heart issues can be efficiently monitored and have their vitals and medication tracked and or updated digitally as well. This maximizes the value of a doctor’s time while providing patients convenient and professional medical advice from the comfort of their homes. 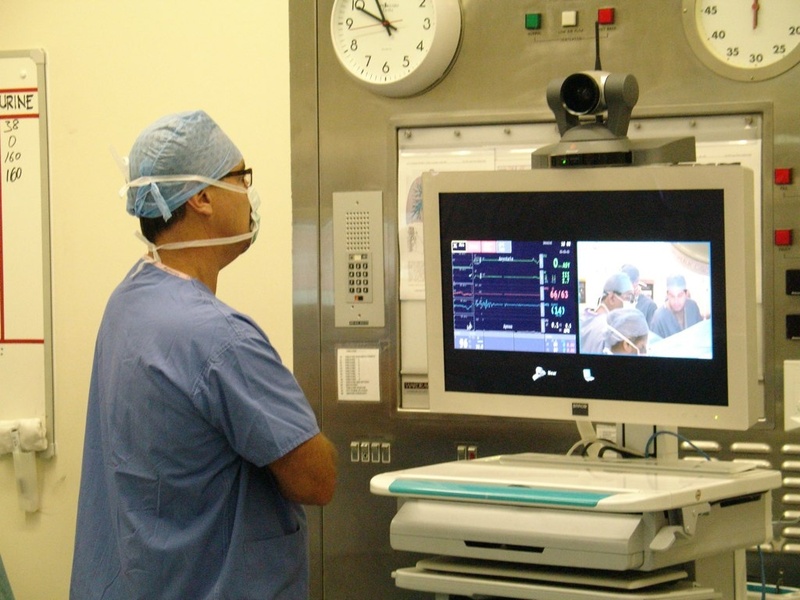 Videoconferencing applications for the healthcare industry could also lower overhead costs for clinics and may help prevent the spread of illness. Predictions indicate telemedicine industry applications (including videoconferencing) may be valued at $34 billion in 2020. The market for videoconferencing growth in this sector is huge. The growth potential in education extends from primary school remote learning setups to higher education to adult education and training. Many universities already offer online courses, and videoconferencing solutions represent a natural progression in remote education offerings. Teachers and trainers can use applications to help students in various locations around the world with affordable, effective education. Video/online learning can also help students of any age who might have different learning styles. In fact, one study found that 79 percent of the educators they spoke to said the number one reason behind why they decided to implement blended learning and online programs into their schools was to offer an alternative to students struggling with traditional learning. And some employers are starting to recognize the advantages in hiring students who have studied online over those who have undergone a traditional university experience. Education institutions benefit from lowered overhead costs and the ability to expand into many different locations and industry verticals. Demand for convenient online learning at all levels and the efficient, cost-effective nature of videoconferencing solutions create significant market opportunity in the education sector. However you look at it, video collaboration and videoconferencing are simply becoming an everyday part of most people’s lives. And as the market continues to grow, in both the public and the private sector, we will continue to discover and explore interesting and innovative new ways to use video technology.